WITS Interactive developed an app for our client Quinto which has oodles of fun elements and engaging games that will induce kids to play the game and hence learning will follow. Lernbausteine consist of alphabets, therefore every game has something to do with alphabets. 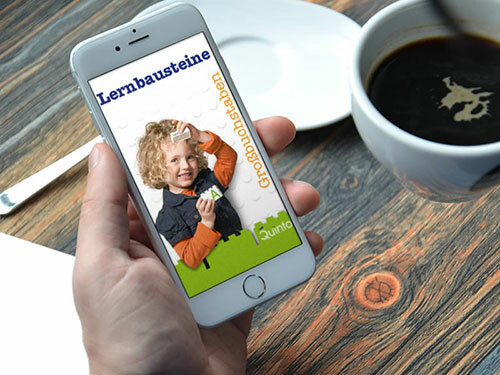 Likewise Zahlen is another similar App created for our client with similar features except in this app instead of alphabets, numbers are used. In total there are 3 games formation of Lego, writing and painting. In the formation of Lego an alphabet will be in different parts and one has to form the alphabet. The writing level consists of following the arrows to form the alphabet. And lastly the painting level gives you the opportunity to paint the alphabets with different colours. These games are extremely interesting and help children learn many a things! In Zahlen the same games were repeated, but instead of alphabets we incorporated numbers, numbers from 1-12. This app creates an educative impact for children to relate to and enhances the ability to differentiate, use colours, to follow instructions and much more. A complete informative, educative and engaging app was delivered to the clients.